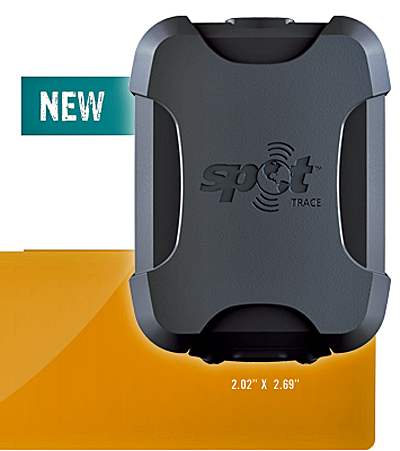 Globalstar Europe Satellite Services Ltd., a wholly owned subsidiary of Globalstar Inc. (NYSE MKT: GSAT), has announced that Spain’s coastal authority, Salvamento Marítimo, has selected SPOT Trace™ as an essential tool to help train their search and rescue teams as well as oil spill disaster recovery crews. Salvamento Maritimo attaches small SPOT Trace units to human-like dummies that are placed in the ocean to simulate emergency search and rescue situations. By capturing and analyzing the tracking data from SPOT Trace as the dummy moves in the water, Salvamento Marítimo can determine how far a person in water might drift due to ocean waves, currents and winds using the Search & Rescue Model and Response System (SARMAP) application. By accurately predicting the movement of victims in the ocean, Salvamento Maritimo can refine and enhance its rescue procedures and life-saving operations. SPOT Trace is also used during the training of Spain’s oil spill disaster recovery crews. SPOT Trace devices are attached to buoys and the tracking data gives researchers and crews in training a better understanding of how an oil spill spreads. The suggestion to use a satellite tracking device came from academic and research institutions, including Puertos del Estado, which is the Spanish agency responsible for maintenance of physical oceanographic parameters in Spanish waters and is one of several Salvamento Marítimo academic partners. Salvamento Marítimo acquired several SPOT Trace units to assess how effective they would be in providing accurate tracking data to understand how different objects drift in the ocean. The devices were initially tested in waters off Spain’s northern Asturias region. The initial tests were successful. Further tests and training exercises were soon carried out in other parts of the country and now SPOT is helping in training operations throughout Spain’s coastal safety organisations. The data that SPOT transmits via satellite is pivotal to assessing the validity of theoretical ocean current modelling programs. When assumptions and predictions of wave patterns and drift are ratified by SPOT data, rescuers can be more confident that their operations and processes are informed and that personnel are well trained and prepared to respond in an emergency. Salvamento Marítimo is not the only organisation that has recognised the benefits of using SPOT for oceanographic research. In April 2017, Globalstar announced that University of Miami Rosenstiel School of Marine and Atmospheric Science (UM) is deploying 550 SPOT Trace satellite trackers in its ongoing oil spill research. Studies undertaken with the Consortium for Advanced Research on Transport of Hydrocarbon in the Environment (CARTHE) forecast the spread of oil dispersed into the environment in order to help inform and guide response teams. This research follows UM’s earlier project launched in 2012 which monitored oil behavior in the BP Gulf of Mexico spill. Christian de Lera Fernández, the Head of e-learning and research, development and integration projects at Salvamento Marítimo’s training center, noted that the ability to understand how wind and currents behave plays an important role in search and rescue training and can help us improve the effectiveness of our recovery processes. Additionally, thanks to the oil spill training exercises the organization has undertaken with SPOT, there is now a better understanding of how quickly oil can spread with accurate assessments of how and where to deploy the disaster recovery resources. Gary King, SPOT Regional Sales Manager, EMEA, commented that with ubiquitous satellite coverage and reliability, SPOT is playing an important role in helping international disaster recovery organizations and research institutions to better understand ocean behavior. Globalstar technology is enabling researchers and rescuers to collect valuable oil spill data in regions where alternative networks can’t reach and is contributing to life-saving training operations.